If you are missing one or more teeth, you might have considered replacing them through tooth replacement. Appearance is not the only reason why you would want to have your teeth replaced either. Some people would like to chew their food or speak more clearly. Missing teeth can affect the way the rest of your natural teeth bite together. Your remaining teeth may drift and tilt into the gaps and trap food in the spaces. In turn, this can increase your chances of getting gum disease or tooth decay. If most of your teeth are missing, your facial muscles may drop and affect the way you look as well as make it difficult for you to speak coherently. A cosmetic dentist in Mississauga can help you decide which option of tooth replacement is best for you but first of all, let us take a look at these options. If you are only missing one or two teeth, Mississauga dentists recommend bridges. A bridge comprises of two crowns, which the dentist will place on your natural teeth either side of the space with a false tooth in the middle. 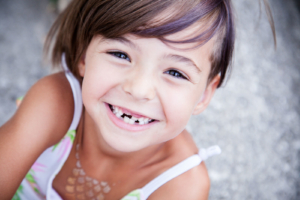 This way, your new artificial tooth stays in place supported by your natural teeth on either side. Bridges will either be metallic or made of porcelain and they come in various designs. Your dentist will discuss with you which one will suit you best. Of course, this will be dependent on the condition of your teeth, gums and mouth as well as the position of your missing tooth. Your dentist will cement the bridge in place so that you do not have to remove it when cleaning. To ensure that your natural teeth remain healthy, always clean the gap under the bridge with a special dental floss. Another type of bridge known as an adhesive bridge has wings that Mississauga dentists bond to the back of a patient’s back of their supporting teeth. Your dentist will let you know which type is best for you. Full upper dentures cover the roof of your palate. A thin layer of saliva between your dentures and palate creates suction, which keeps the denture firmly in place. It is possible that after getting upper dentures, your perception of bitter and sour tastes will change. Having dentures is a new sensation and changes in how things taste is quite normal. Your dentist will be in a better position to tell you how long the taste changes will last. It is more difficult to keep full lower dentures in position because there is less support from your gums. It may prove to be quite difficult to balance the denture against your tongue and cheeks. Nonetheless, this should improve over time as you get used to your dentures. A lot of people will not need to use denture adhesive but some may choose to use it because they find it is quite helpful while getting used to new dentures. A dental implant is basically a titanium metal rod that your dentist will place in your jawbone. Its function is to hold artificial teeth in place. Over time, your jawbone will fuse with the metal rod. Mississauga dentists usually clip or screw bridges and dentures onto the implant. Bridges or dentures supported by implants tend to be very stable and if you take proper care of your dental implants, they can last for a very long time. In order to have dental implants installed, you have to go through a surgical procedure. As such, you need to ensure that your gums are healthy. If you smoke, your dentist may not recommend implants because it can affect the success of your treatment. Different kinds of teeth replacement involve different procedures. Fitting of dentures might be a bit uncomfortable while dental implants and bridges involve surgery. Mississauga dentists administer local anesthetic injections before fitting implants or bridges so pain should be the last thing on your mind.